If you want to have at least one little piece from this loaf, take my advice and make a double batch. This is because after making a single batch, about 11 small rounds, half of it disappeared within 20 minutes of it coming out of the oven. Two hungry hippos came home and gobbled them up while I was busy cooking dinner! They said it was delish and there was a dash this morning to breakfast for the rest of the loaf. 1. Place yeast in the warmed milk for 5 minutes. 2. 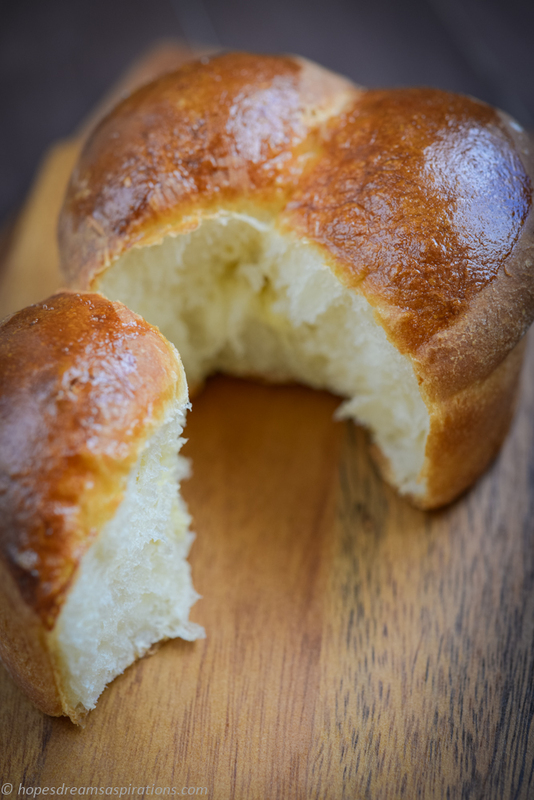 Place milk and yeast into bowl of bread machine and add yoghurt, egg and oil. 4. Mix in bread machine in ‘dough’ mode for 20 minutes. 5. Tip the dough into a slightly greased larger bowl. Shape the dough into a ball. Cover the bowl with a damp cloth or cling-wrap and leave it to proof in a warm place till double its size (about 1 hour). 6. 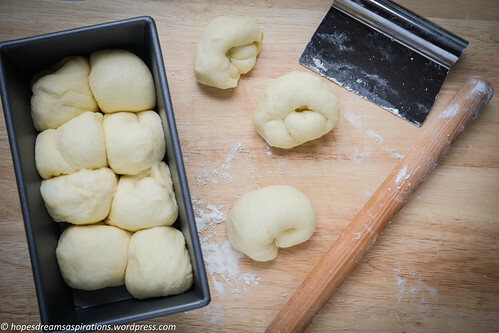 When doubled in size, punch down the dough to release the air. 7. On a floured board, divide the dough into small portions of about 50g. Roll the dough out into a rectangle. Roll the dough up from the bottom edge. Flatten the dough lightly. Roll the dough into thirds, like a snail. 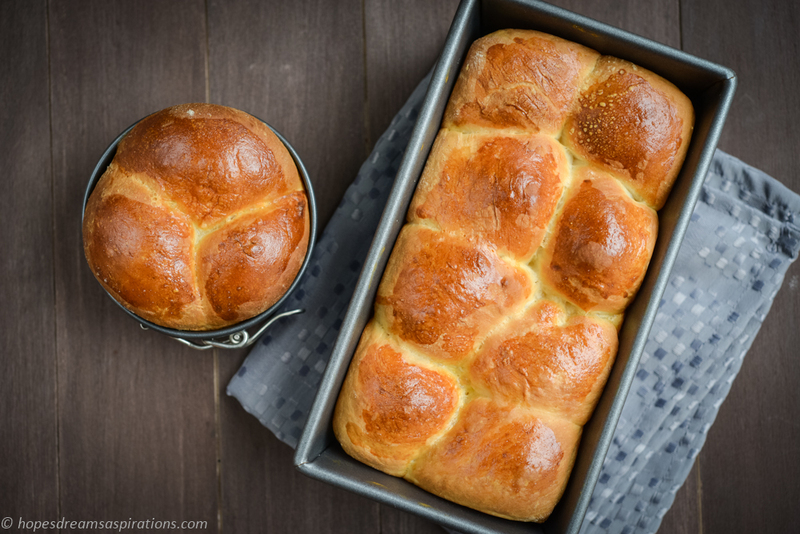 Shape each portion into a smooth ball and place them into a loaf pan. 8. 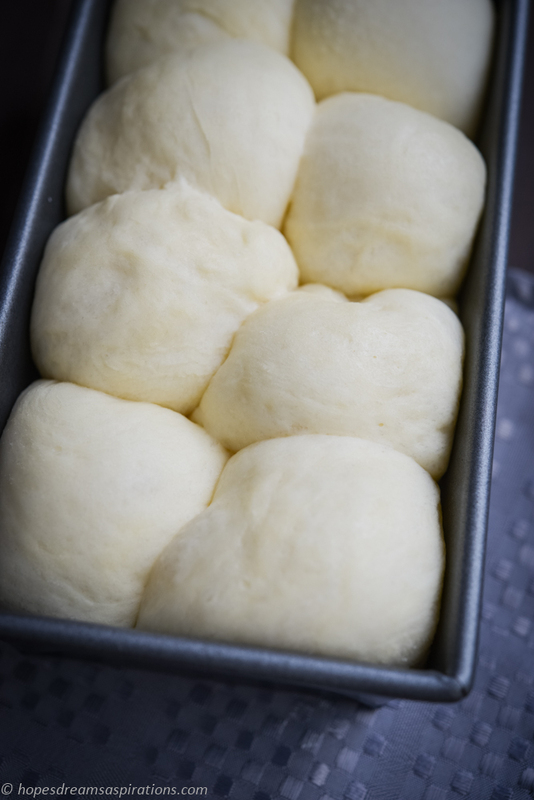 Cover the loaf pan with a cling wrap and allow the dough to go for a second proofing until double its size again. I sometimes leave it in a switched-off oven which had been heated to 50C, for about 20 minutes. 9. 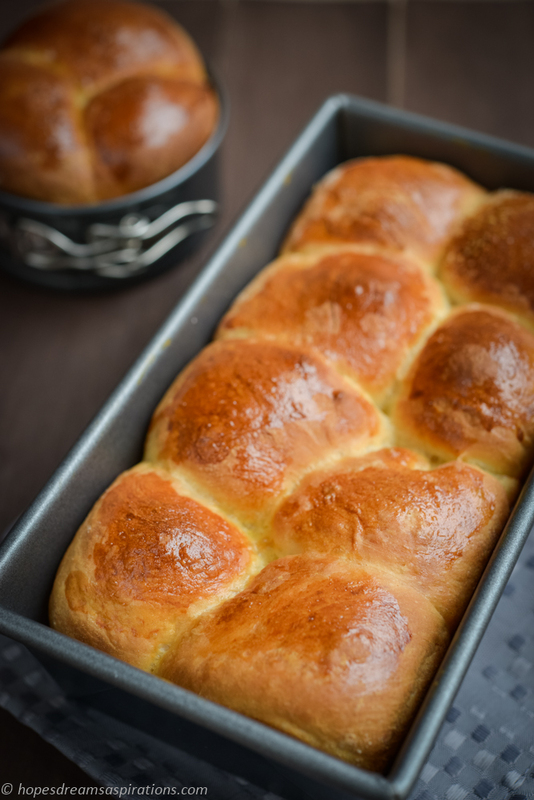 Take the loaf pan out and turn the oven temperature up to 170-180C. 10. Egg wash the top of the buns. 11. Bake for 20 minutes until the top turns golden brown. 12. 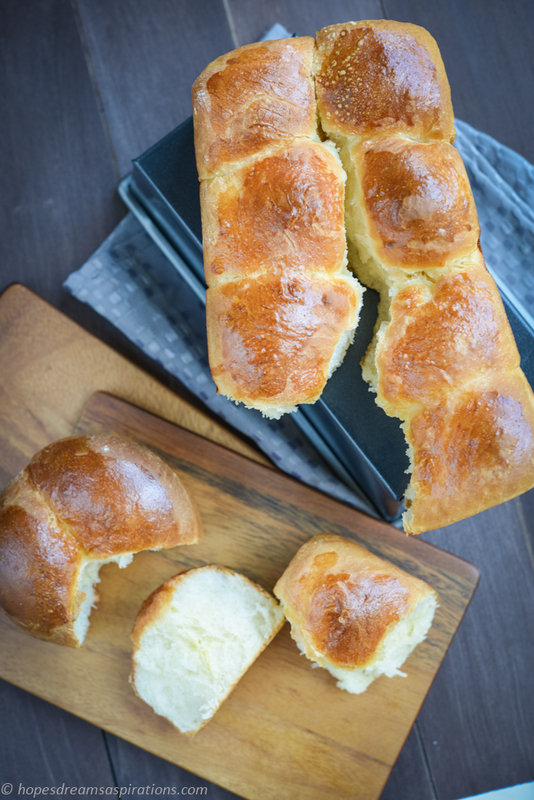 Remove bread from loaf pan to cool completely. See how soft and pillowy they are – simply gorgeous. I love this bread. I’m going to make it! What is the size of the loaf pan (please give me measurements), thanks! 22 x 12×7 cm for the single batch. I fitted 8 of the balls in and had 3 more so I used a mini round pan for those 3. I made a larger batch today and had 20 balls and fitted perfectly inside a square pan. Enjoy and let me know how you go!